Setting country music back 80 years . 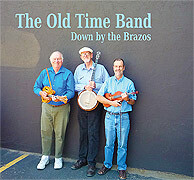 . .
"Exploring the Roots Of Bluegrass" with the Old Time Band. 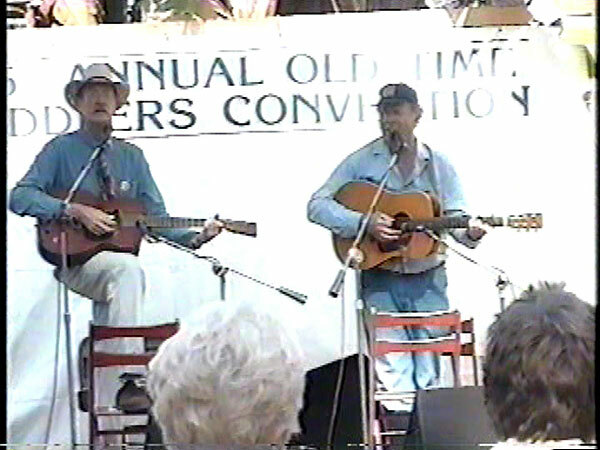 The Old Time Band is Peter Feldmann on mandolin, guitar, and banjo, joined by one of the finest fiddlers in the Southwest, Bruce Thompson, and by banjo virtuoso Wayne Shrubsall, long-time performer and columnist for the Banjo Newsletter. 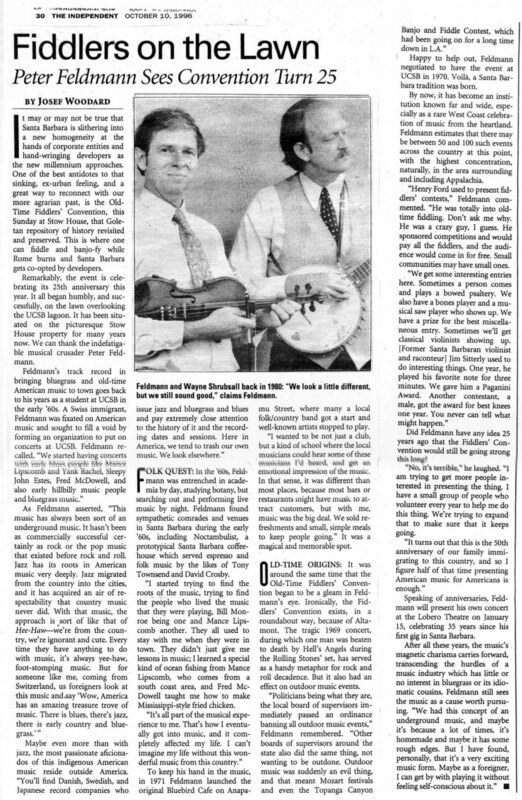 Peter and Wayne have been performing together throughout the Southwest since 1978, and joined forces in 2005 with Bruce at the infamous Nickel Creek Texas Music Festival to form a classic string band trio. Called “the pre-eminent bluegrass artist in the area!” by John Robinson, Executive Director of the Santa Barbara Symphony, singer and multi-instrumentalist Peter Feldmann has racked up many years of performing experience throughout California and the West. Peter has been presenting bluegrass, folk, string band, and related musics since the early 1960’s, and is known as the founder of the Santa Barbara Old Time Fiddler’s Convention and the original Bluebird Café, a Santa Barbara music club highly influential on the Southern California Music scene. 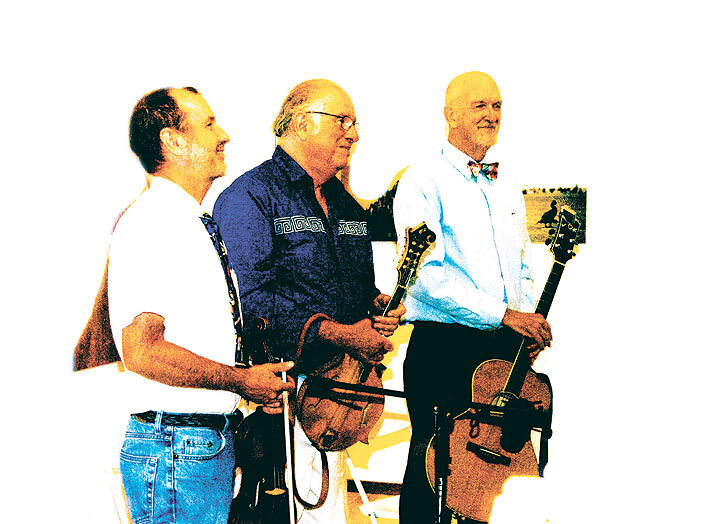 Peter’s tribute CD to Uncle Dave Macon, “Grey Cat On The Tennessee Farm”, was named to the nation’s “Top Ten Bluegrass Albums of 2005” by the Chicago Tribune. Last May, Peter was awarded the “Music Legend Award” by the Topanga Banjo/Fiddle Association of Los Angeles. Wayne Shrubsall is a nationally-known banjoist and songcatcher. He has performed with Bill Monroe, Byron Berline, Vassar Clements, Dan Crary, Peter Feldmann, Elliott’s Ramblers, Steve Smith and Hard Road, the Adobe Brothers string band, and many other individuals and groups. Wayne received his Ph.D. in American Studies from the University of New Mexico, working with the banjo in American popular culture. He has written for bluegrass music- and banjo-oriented publications since 1972, and has presented a program focusing on the history of the banjo and banjo styles since 1985. Wayne has been a participant in numerous folklore workshops, festivals, and music events, and has worked on many recordings, notably with Alan Munde on their banjo duet album, “Old Friends,” and with Steve Smith’s Hard Road band. He resides in Albuquerque. Bruce Thomson was born to his parents when he was very small. He played band instruments all through school and college. In college he was introduced to the music of Doc Watson, the New Lost City Ramblers, the Highwoods Stringband, and Flatt and Scruggs. He started flatpicking on guitar and mandolin, then switched to fiddle when he moved to Texas. He took an engineering job New Mexico in 1978 and plays in several Bluegrass and traditional music bands. He and Wayne Shrubsall have played together as two-fifths of the Adobe Brothers for 30 years. He works as a knowledgeable consultant to the Albuquerque Fluid Waste Rapid Transit District. We can promise you a fast-paced, entertaining program of some of the best traditional old-time and pre-bluegrass music, featuring various combinations of fiddle, banjos, guitars, and mandolin. A great CD: HC-506 - "Down By The Brazos"